Choosing your colours for your wedding day is an important part of the wedding planning process. Your wedding palette is a major tool in communicating to your guests what the theme is and overall vision you want to portray. Your colour palette can even tell the story of your love story. Colours have a way of speaking volumes. Imagine a wedding filled with red, pink and white décor streaming from top to bottom of your reception hall and ceremony space in the middle of February. Do you see a Valentine’s Day themed wedding? Or how about a silver sequined tablecloth with delicate iced blue snowflake candle holders and white table numbers that dazzle with a festive shimmer. 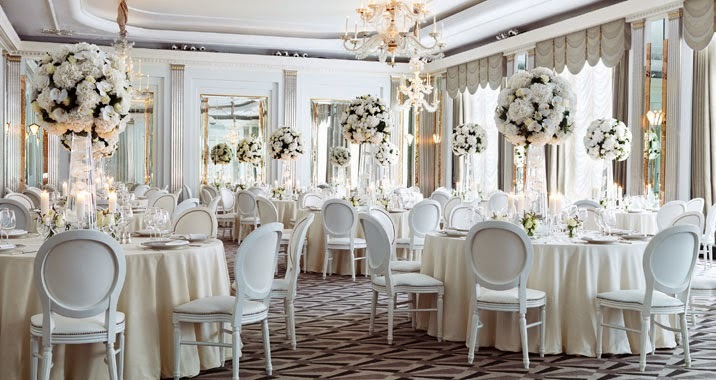 Do you see a winter wonderland wedding? 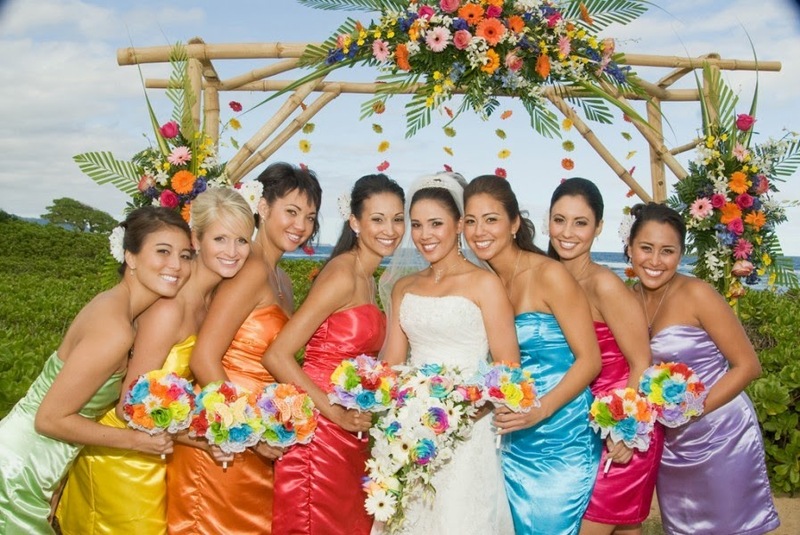 Once you have your wedding colors, all the other stylistic decisions are relatively easy to figure out. Colours bring your wedding to life, and choosing them wisely will make sure that you are telling your story and communicating your vision in the best way possible. Here are some colourful tips for choosing a wedding palette that will brighten your planning. Start off with the easiest question of all! What are your favourite colours as a couple? 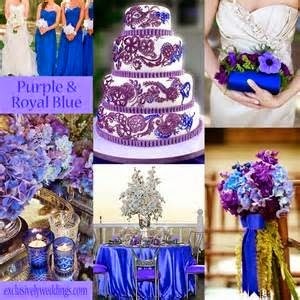 If your favourite colour is lavender, while your fiancé’s is royal blue, why not fuse them together and see how gorgeous they look? Some colours just happen to work beautifully together, infusing your favourites will be a great way to add a lot of personality into your wedding. 2. What is the theme of your wedding? Does your wedding have a theme? If it does, finding the perfect wedding colours will be that much easier for you! Having a 1920’s jazz age themed wedding? You’re colours are already set to go with elegant black, and dazzling gold. How about a beach-themed wedding? You’ll stick to hues like marine blues, sky blues, sandy browns and white. Going for a vintage wedding? Soft pastel hues such as blush, sage green, lavender and soft blues will suit you well. Themes definitely will make colour choosing a bit easier. However, remember to stick to no more than 3 colours for your palette. You want a dazzling effect that is not too busy or over-the-top. Think about your venue when trying to settle on wedding colours and let the site inspire you. 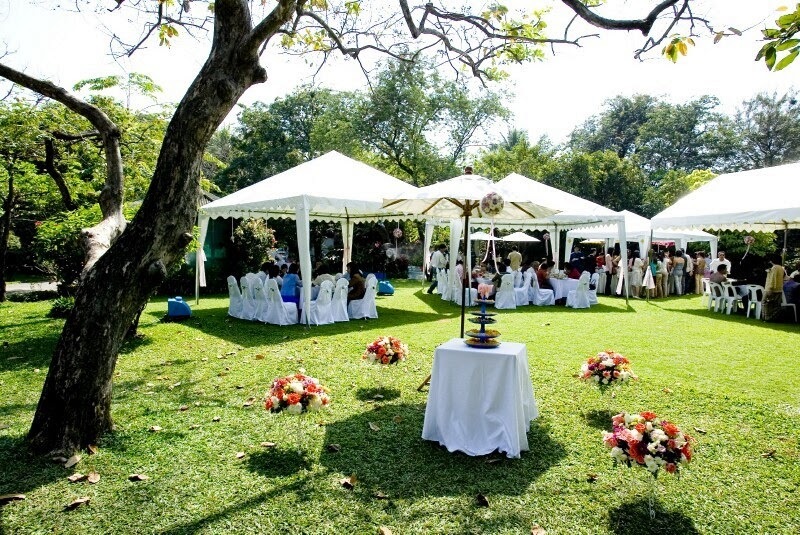 Go to your venue for a visit, and definitely take in its features, its backdrops and all immediate surroundings. Is it a blank canvas that is begging for bright colours like coral, yellow, and fuchsia? Or is it a rustic space that neutral, pastel shades would work wonderfully with? Remember to have an idea of what kind of lighting you will have so that the colours you’re using in the décor and such will compliment it, instead of clash with it. Another tip to take in while visiting your venue is what time of day your wedding will be. Vibrant hues are gorgeous in natural light, but are not too flattering for an evening reception. Neutrals tend to photograph better in lower lighting, so keep this in mind when planning out the time of your soiree. 4. What Season or Holiday Is It? Is your wedding taking place around Valentine’s Day? How about a Valentine’s themed wedding filled with passionate reds, pinks and whites? Your guests will be feeling the love as they dance away and take in the surroundings of your party that just feel so…romantic. If your wedding is taking place around the winter holidays, a festive Christmas wedding or a winter wonderland will allow you to use colours that are warm and jolly, as well as elegant. Deep reds and evergreen décor will look toasty as they rest above a fireplace mantel and you can incorporate the use of silver and gold for a real festive holiday feel. 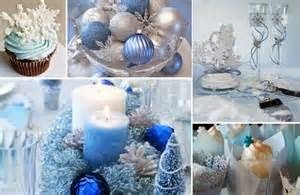 In planning a more winter wonderland wedding, colours like soft ice blues, whites and silver look dashing and elegant. For a New Year’s Eve wedding, silver, whites, black and gold make for an elegant posh affair that’s perfect for ringing in the New Year. What will be around you when your wedding takes place? Clear blue skies (you hope! ), green, grassy hills, rustic wooden chairs? Every element brings colour to your story, and all should be considered. If dinner will be served alfresco, the grass, trees, and surrounding greenery can work as an excellent natural palette. Soft pastels used in your décor and table settings will only compliment this natural look for the ultimate soft, nature feel. Most often, it’s colour that punctuates your details which best communicates to your guests if your wedding is a formal affair or a more laid back event. Think gold ink on your stationery for example. Something like this would be more common for a black tie event. Lighter, brighter colours work well with a wedding that’s more casual. Choose your colours wisely and don’t be afraid to experiment to see which colours work best with each other. Try to stay away from just one solid colour as the hue that will be used throughout the entire wedding. For example, many brides love pink, and want only pink to be seen throughout the wedding. However, too much pink, even in different shades can become too girly, and slightly overbearing. On the other hand, different shades of pink with poppy red can look beautiful together. Have at least two colours to use throughout your stationery, attire, and décor so that everything looks coordinated. 7. How Do I Colour My Wedding Besides the Use of Flowers? Flowers are the obvious choice when deciding how to incorporate colour into your wedding, but try to think outside the flower box. There are great alternatives that will bring colour to life just as effectively as flowers can. Fresh fruits and vegetables, linens, candles, paper, and other stationery can all help to tell your story. Or how about making each of your bridesmaids wear a different bold colour dress, and handing your guests vintage umbrellas in a corresponding shade? Think about the other materials that you will be using throughout your ceremony and reception space, and in your décor, and see if you can add a pop of colour to them as well. You can also use food to add colour to your affair. Try something exotic like a mango salsa or rainbow kale for an appetizer and salad, or pink salmon with rich beets and veggies for dinner? For dessert? Add a sweet table with lots of colourful candy and treats. Using food to bring out colour is an easy and effortless way to make a statement.